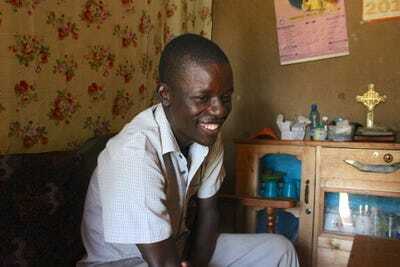 Chris Weller/Business InsiderEdwin Odongo Anyango, 30, has received basic income for a little over a year. A 12-year basic income experiment in Kenya is showing that people typically spend free cash on necessities. Contrary to prevailing myths, people don’t seem to work less or waste the money on vices like alcohol. More research will eventually reveal whether these initial findings are an anomaly or the typical experience of someone receiving basic income. KENYA – Maurice Owiti is 47 years old and works as a caregiver in a rural Kenyan village. In a poor community such as his, Owiti is lucky to have a job. 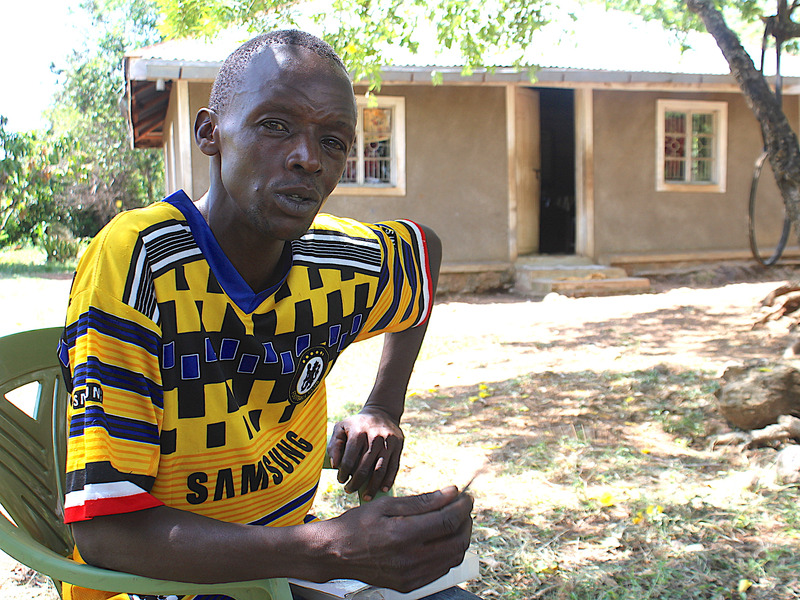 But until late 2016, spending even $US20 a month on school fees for his son was a struggle. As basic income has gained mainstream interest as a way to reduce poverty, people have started speculating how it might play out on a large scale. Would the system make people work more or less? Would they spend all the money immediately? Where would the funds come from? Chris Weller/Business InsiderAnyango’s children can now go to school, thanks to the basic income Edwine receives. In the 13 months since GiveDirectly began its experiment, Owiti and his fellow villagers have slowly and quietly been disproving the biggest misconception about basic income – that people who receive free money will stop working and waste the cash on vices like gambling, drugs, or alcohol. Anecdotal evidence and nearly all empirical research has shown that unconditional cash transfers help people help themselves. Recipients often use the income to pay for their kids’ school fees, buy medicine, repair their homes, and invest in their small businesses to further grow their wealth. While some use the money for so-called “temptation goods,” as economists call them, the majority of recipients defy the stereotype that people in poverty somehow lack moral character or responsibility. As advocates often claim, what the poor seem to suffer from is actually a lack of cash. “If this money were to be given to everybody, this would be a very good thing,” Edwin Odongo Anyango, a 30-year-old recipient in Kenya, told Business Insider. 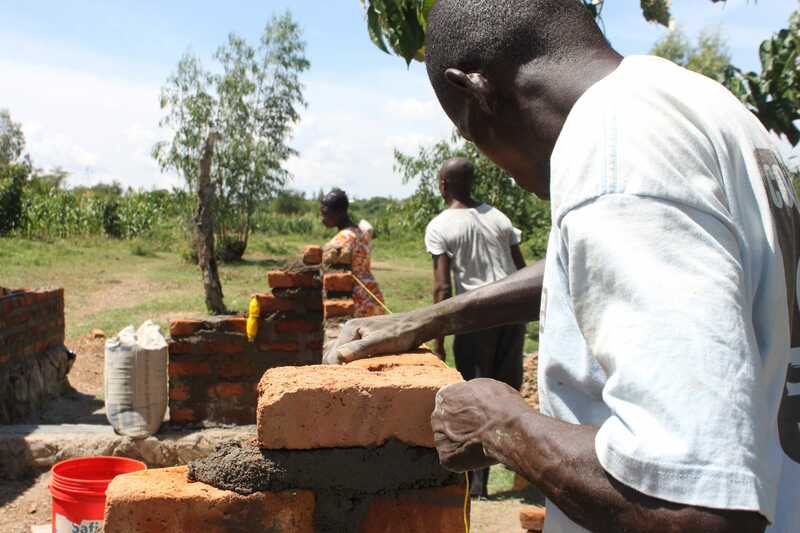 Anyango earns money mostly through manual labour jobs. He said the basic income money has enabled him to buy milk on a more consistent basis and pay for his child’s preschool fees. His wife, also a recipient, has put the money into her business selling secondhand clothes. Chris Weller/Business InsiderBasic income has allowed many people to make home repairs they otherwise couldn’t afford. Caroline Teti, the field director for GiveDirectly, works with villagers on a near-daily basis to make sure the experiment is running smoothly. 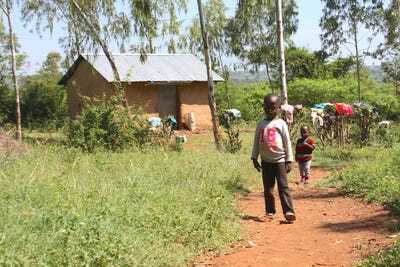 The study expanded to include dozens more villages and thousands more people in mid-November, but so far Teti has only observed a few people who seem to misuse the money. Even those, she said, tend to split the money between practical purchases and indulgences. Chris Weller/Business InsiderAgrippa Agida Onywero Krispo hasn’t spent the money entirely productively. A recent altercation has him rethinking his choices, however. Agrippa Agida Onywero Krispo, a 40-year-old day laborer, said he’s used the money for small home repairs and new shoes. He’s also used it for gambling and to record a CD of him singing. Recently, the money he put toward the CD was stolen by his recording partner, who disappeared when it came time to sell the freshly made copies. Other research has found that people’s spending on alcohol and cigarettes actually went down when they received direct cash transfers. Faced with a brighter future, many people stop using temptation goods as a way to cope with a hopeless situation, researchers have discovered. In the village GiveDirectly is working with, interviews with nearly a dozen recipients showed that most people have actually worked more since the study began. The research isn’t conclusive, however. There is still a possibility that follow-up studies will find GiveDirectly recipients used their cash on vices after covering their basic needs. But so far, the findings are hopeful. When people in need are given the means to improve their lives, that’s exactly where the money goes.